With Black Friday behind us, today we embark on that other, safer and saner holiday tradition—Cyber Monday. 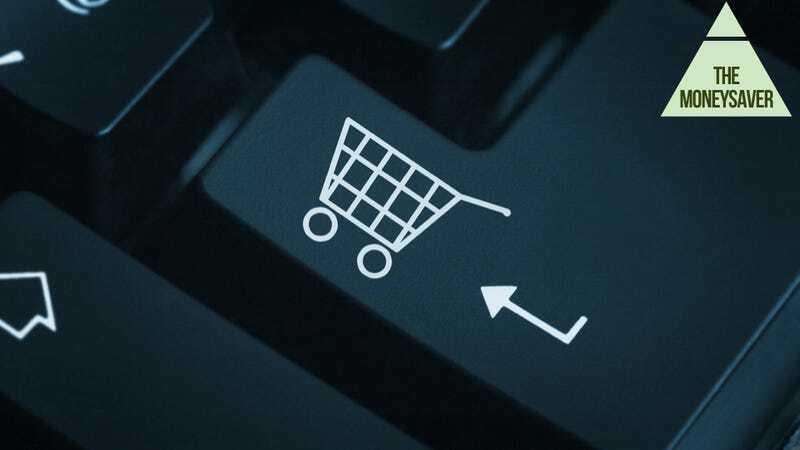 Today's the day when many online retailers offer values to shoppers starting their gift shopping expeditions from the safety of their own keyboard. We've got more than 100 listings for you below, including 78 digital downloads. The following listing of digital download bargains are grouped by distributor, courtesy of Deals4Downloads. • Penumbra Collection is $11.99, save 40 percent. • Lost Horizon is $11.99, save 40 percent. • Trainz Simulator 2010: Engineers Edition is $9.99, save 67 percent. • ARMA II: Operation Arrowhead is $13.10, save 67 percent. • Dawn of Discovery Gold Edition is $6.79, save 66 percent. • Duke Nukem Forever is $6.79, save 66 percent. • Sid Meier's Civilization V - Game of the Year Edition is $16.99, save 66 percent. • Saints Row 2 is $5.08, save 66 percent. • Tropico 4 is $15.99, save 60 percent. • Total War: Shogun 2 is $14.99, save 50 percent. • L.A. Noire: The Complete Edition is $24.99, save 50 percent. • The Sims 3 is $14.99, save 50 percent. • NBA 2K11 is $10.48, save 48 percent. • Starcraft II is $29.99, save 50 percent. • RIFT Standard Edition is $7.50, save 75 percent. • Majesty 2 Collection is $7.95, save 60 percent. • King Arthur - The Role-playing Wargame is $7.95, save 60 percent. • Sword of the Stars: Complete Collection is $7.95, save 60 percent. • The Witcher 2 Assassins of Kings Digital Premium is $19.95, save 50 percent. • Warhammer 40,000: Dawn of War II: Retribution is $14.95, save 50 percent. • ArcaniA Gothic 4 is $9.95, save 50 percent. • Shank is $4.99, save 67 percent. • SPORE Galactic Adventures is $9.99, save 67 percent. • Gatling Gears is $4.99, save 50 percent. • Create is $9.99, save 50 percent. • Dragon Age: Origins Awakening is $9.99, save 50 percent. • Football Manager 2011 is $9.98, save 78 percent. • Hacker Evolution Collection is $5.99, save 75 percent. • Fritz Chess 10 is $5.00, save 75 percent. • Frontlines: Fuel of War is $4.99, save 75 percent. • Bulletstorm is $7.98, save 60 percent. • Darkspore is $7.98, save 60 percent. • THQ Complete Collection is $99.99, save 53 percent. • Arma X: Anniversary Edition is $29.98, save 50 percent. • Gratuitous Space Battles Collectors Edition is $12.48, save 50 percent. • Two Worlds II Castle Defense is $5.98, save 50 percent. • Two Worlds II Game of the Year Edition is $24.98, save 50 percent. • Homefront is $14.98, save 50 percent. • X SuperBox is $20.00, save 50 percent. • Revolution Under Siege is $9.98, save 75 percent. • Renegade Ops is $7.47, save 50 percent. • Risen is $14.97, save 50 percent. • Space Empires IV Deluxe is $4.37, save 56 percent. • Hearts of Iron III is $9.99, save 50 percent. • Oddworld: Abe's Oddysee is $2.99, save 50 percent. • Beyond Divinity is $2.99, save 50 percent. • Postal 2 Complete is $4.99, save 50 percent. • Simon the Sorcerer is $2.99, save 50 percent. • Max Payne Collection is $3.74, save 75 percent. • CSI: Fatal Conspiracy is $6.79, save 66 percent. • Prototype is $10.19, save 66 percent. • Prince of Persia Bundle is $20.39, save 66 percent. • The Sims 3 (iPhone) is $0.99, save 86 percent. • Grand Theft Auto: Vice City (Mac) is $6.99, save 53 percent. • Psychonauts (Mac) is $4.99, save 50 percent. • Bulletstorm is $14.99, save 50 percent. • Street Fighter IV is $9.99, save 50 percent. • Bejeweled Blitz LIVE (XBox360) is MP200.00, save 50 percent. • Phantasy Star 2 (XBox360) is MP200.00, save 50 percent. • Warhammer 40,000: Space Marine is $24.99, save 50 percent. • Red Faction Armageddon is $24.99, save 50 percent. • You Don't Know Jack is $9.99, save 50 percent. These deals are all tied to purchasing specific computers. • Buy one NVIDIA 580 and get one FREE!